There are two types of crawl spaces: vented and sealed. Vented crawl spaces are associated with moisture problems and mold. Although older building codes required crawl spaces to be vented, newer versions of the code allow sealed crawl spaces. In most cases, a home with a sealed crawl space will use less energy than a home with a vented crawl space. It may seem like a good idea to allow fresh air to circulate through the crawl space, at least during the summer. Locating vents on opposite sides of the crawl space should let air waft through, removing moisture and keeping things dry, right? Not really. 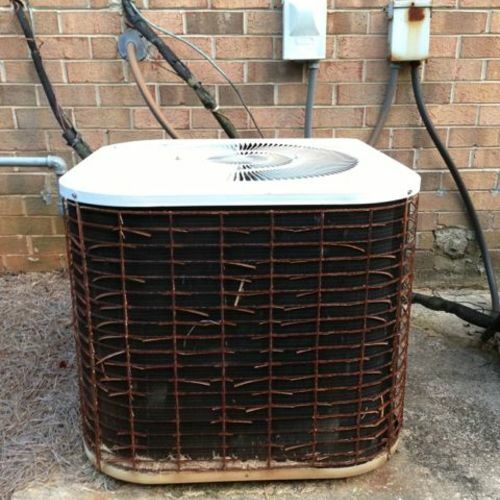 What actually happens is that water vapor in humid summer air comes into contact with cool surfaces under the house and condenses into water. The dampness can foster the growth of mold, leading to decay (and the need for repairs). This is an especially likely scenario in the southeastern United States, where crawl spaces are common and summer air quite humid. When crawl space walls are sealed and insulated and the air in the crawl space is heated and cooled, the potential for condensation problems is greatly reduced. 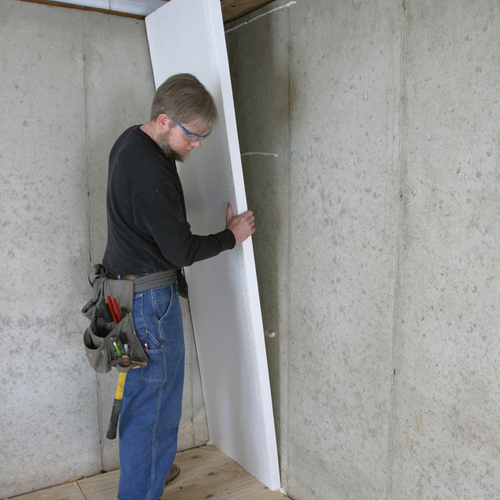 Perimeter rigid foam insulation can be applied to either the inside or outside of the walls. All crawl spaces require a layer of 6-mil (or heavier) polyethylene plastic spread over the floor of the crawl space to help keep moisture and soil gases from getting in. The plastic should be continuous, taped at any seams, and mechanically attached and sealed at the perimeter. For a superior crawlspace, consider covering the polyethylene with a thin slab. For more information on best-practice details for sealed crawl spaces, see Building an Unvented Crawl Space. Here in NC most houses are built on crawl spaces and have high moisture levels most of which have at the minimum a small amount of mold and a musty smell. We do not feel comfortable doing a closed crawl unless the mold is removed and the musty air is removed. This is a very expensive option - remediating the mold, running air scrubbers and then doing a full closed crawl system. Down here when doing a closed crawl, most will recommend adding a supply duct into the crawl thus the crawl and living area are somewhat connected which is why we do not like this option for a retrofit. We do closed crawl on all new construction. Had anyone come up with a cheap solution or a poor man's closed crawl that we can do to improve the situation but without breaking the bank. 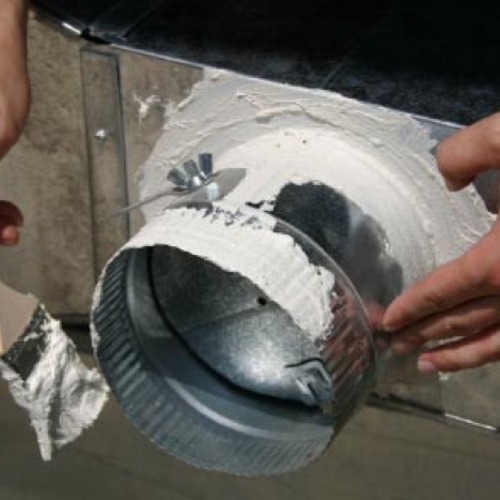 We have thought of adding a vapor barrier, leaving the floor insualation and closing up the crawl vents. Maybe adding a dehumidfier. Anyone see any problem with this scenario. Another concern we have - while doing energy audits we come across 50 year old houses with no insulation in the floor system. We obviously recommend adding floor insulation however we are concerned that we may be creating a problem by adding insulation in a vented crawl - basically cooling the bottom of the floor joists and creating a surface for condensation. 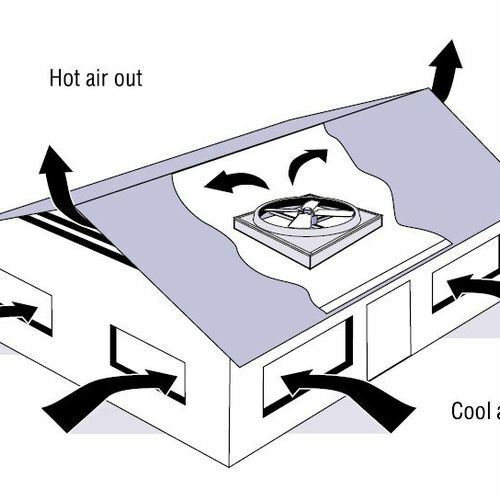 We have also considered installing a bath fan in the crawl vented to the exterior to put a slight negative presuure on the crawl maybe drawing some conditioned air out of the house whcih may solve our condensation problem but kind of defeating the purpose of trying to save energy in the first place. There has to be a better solution for those without $5000 - $10,000 to spend for a full remeiation. Thanks for reading. You will probably get more answers to your many questions if you post this in our "Q&A" section. I'll address one of your questions. You wrote, "While doing energy audits we come across 50-year-old houses with no insulation in the floor system. 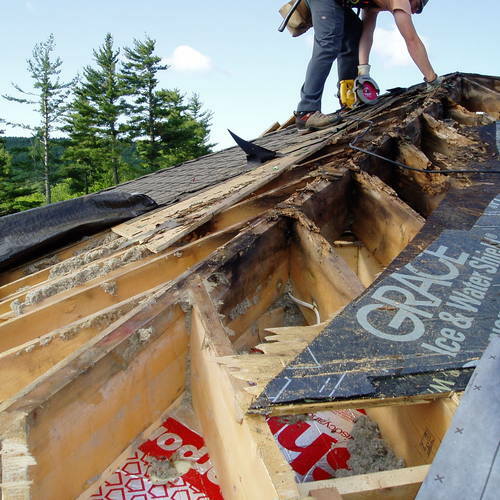 We obviously recommend adding floor insulation; however we are concerned that we may be creating a problem by adding insulation in a vented crawl — basically cooling the bottom of the floor joists and creating a surface for condensation." You needn't worry. If the floor of an air-conditioned house has no insulation, the floor sheathing facing the crawl space is cold, encouraging condensation. Insulating the floor (especially if spray foam is used) will separate the cold floor sheathing from the humid air of the crawl space. The face of the foam insulation facing the crawl is now much warmer, so there will be less condensation, not more. There is no cheap way out, remove the floor insulation,close the vents,remove the mold,insulate the box and beam ends and fondation walls,seal the dirt with NEUTOCRETE,heat and condation the space to make it become a part of the home , like any other room. Sorry for length of this am disabled need urgent advise, expert help. I really hope someone can help me, l live in Carrying Place, Ontario, Canada were located about 1 1/2 hour drive east of Toronto, Ontario. My wife her mother 5 years ago was put in nursing home with Alzheimers disease then 2 years ago her dad got Alzheimers Disease and placed in same nursing home. They lived in their home from 1986 to 2010, for the last 10-12 years could smell musty smell in the home. Many tried to tell them, but they said they didn't smell it and would get upset, maybe living there they there their smelling senses never sensed it. Jan/2011, my father inlaw gave the property to my wife, his name still on deed. The house was debt free, since l have many health problems house being in town we planed to move there, selling our present home thinking would cost much to be liveable and l be closer to the hospital stores driving hard for me. So l removed all carpets furniture and anything else with material on it thinking smell would go away. But it didn't leave, Bought 4 - 50 pint dehumidifiers, run them 24/7 for 5-6 months abit of difference but still strong smell. So next l removed all interrior doors, all window, door baseboard trim still no change. We then had to get a a $ 25,000 line of credit, to remove and replace drywall, insulation. The complete house has cathederal ceilings, outside walls 7 ft hogh when beams meet in the middle walls are 9 1/2 ft high. So we removed the false ceilings nearly every ceiling has allot of water stains and dinningroom is 11 ft wide x 13 ft long tiles were very bad mold roof 6 years old damage from a prior leak many years ago l assume. Inside house looking up the stained tiles, mold ceiling was original roof, on the attic side of the mold stained tiles is tar and gravel about 5-6 inches thick the tiles are on top of beams barely can be cut with chainsaw. Prior owner before my father inlaw bought it in 1986, put a complete stick type plywood roof about 8-10 inches about the mold stained tile. My father inlaw about 6 years ago hired a roofer tp put new shingles on top of old shingles the old shingles has a green type moss above kitchen area weren't removed when new shingles were put on. There was never any insulation between the original tar/gravel attic side of the roof and the 2nd outer roof. How do l insulate in the 8-10 inch gap between the two roofs? We have to remove both layers of shingles and likely allot of plywood below shingles hoping to do that in spring of 2013 no money to insulate before then should l insulate when l remove both layers of shingles and should l remove all mold on inside section of dinningroom and then when we do shingles cut those tiles out of dinningroom while shingles are off? When we removed drywall and wall panelling on outside walls 45 ft or more of outside walls had to be cut out replaced from sill to ceilings, and another 20 ft of wall same in garage removed killing our budget. Had to sister floor joices in livingroom, kitchen, dinningroom also. Is all this damage, to floors, walls from the dirt floor crawling space, high hummidity, black mold type stain even on nearly all cement blocks on inside crawling space. Main crawling space from dirt to floor joices is about 5 ft high but under the 13 x 18 ft spare bedroom dirt is about 2 ft from floor joices no vents,, nothing to remove hummidity and has 100% block wall between the 2 crawlspace the main crawl space has 2 small window vents across from each other. New drywal on all walls and new insulations in all outside walls, 45 plus feet complete new walls, all new windows doors running 2 dehumidifiers on main floor one each end and 1 in crawlspace should windows screens be closed stuffed with insulation and garage/shop atached to house access to crawspace open should it be boarded up? You have at least two problems. One is financial; the other concerns your moldy house. We can't help you with your financial problems, unfortunately. If you can't afford to perform the needed repairs to your house, it hardly matters what our advice is. If you have a dirt-floored crawl space, you should perform the work described in this article: Building an Unvented Crawl Space. Concerning the extensive repairs required for the rest of your house, it seems clear that you need the help of an experienced contractor. If you can't pay for the necessary repairs, however, you are obviously between a rock and a hard place. The BSC link no longer works. Thanks for letting us know about the broken link. I've fixed the problem.